For more than 30 years, we have served the community with diligent and unfailing commitment to your well-being. Trusted in the community for over 30 years, we have likely treated someone from your home or your neighbourhood. Our skilled professionals offer you a variety of treatment methods to help you restore and maintain optimal physical function and mobility. Physio Pointe-Claire is a clinic with 5 private rooms and a full gymnasium equipped with pulleys, treadmill, stationary bicycle, weights, balls, etc. We provide quality and professional care to all our patients. We take the time to understand your injuries through a comprehensive assessment that will be used to determine the best possible treatment regime. This program will help maintain and help improve strength and motion through at home and in-clinic exercises. This wide range of equipment allows us to help reduce pain and restore your mobility. Based on your assessment, we will put together an exercise routine that is targeted at addressing your specific injury. 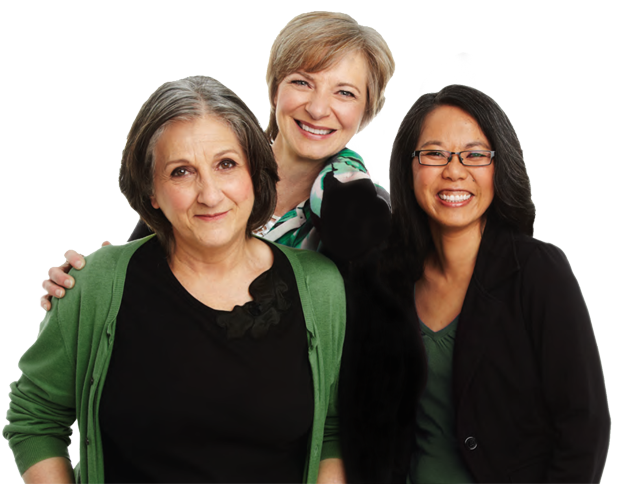 At Physio Pointe-Claire our highly qualified physiotherapists will look after your well-being. You can trust that they will choose a proven approach for treatment adapted to your specific needs. The meaningful results will help you to live and enjoy your daily life. 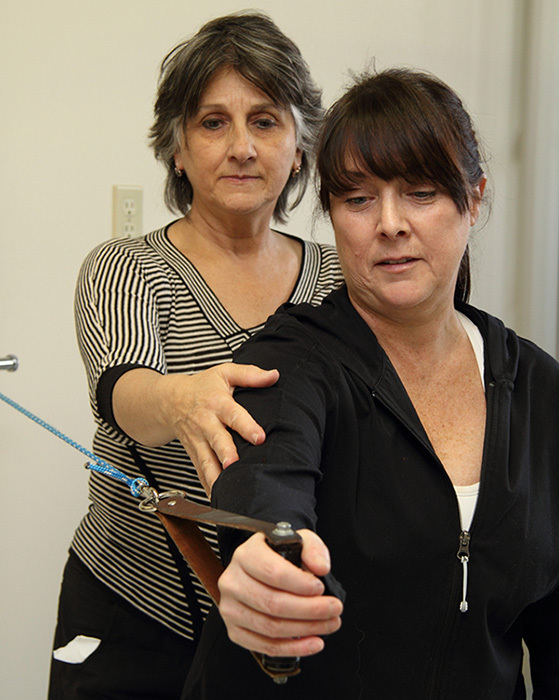 Physio Pointe-Claire offers a wide range of services, from preventive care to rehabilitation. In order to achieve this, your physiotherapist will perform a total evaluation. After this you will be informed of the source of your problem and give instructions on how to help and prescribe electro-therapy modalities and a personalized exercise program if needed. The treatment area is comprised of private rooms to ensure your privacy. To further continue your rehabilitation, your physiotherapist may give you a personalized program that you can choose to do in our fully equipped gym. Following a surgery or the treatment of an injury, the recovery phase is crucial for fast and optimal healing. Customized treatments in a friendly environment, performed by highly qualified physiotherapists. Personalized and supervised training program designed to accelerate the transition to healing. The clinic offers home service for patients who are immobilized following an accident or as the result of health problems. Following a surgery or the treatment of an injury, the recovery phase is crucial for fast and optimal healing. Customized treatments in a friendly environment, performed by highly qualified physiotherapists. In the 1960s, Odvarr Holten, a Norwegian physical therapist felt that his patients could not achieve their optimal goal through his treatment. He observed that many patients with a variety of pathologies returned for treatment multiple times with similar symptoms. Manual therapy in combination with other physical therapy applications, primarily passive techniques and modalities, was shown to be inefficient to achieve the optimum result. Holten systematically applied his knowledge and experience from exercising in sports as a complement to his treatment. His main goal was to break the cycle of relapses he observed for many patients. Over time, exercise became the “standard” treatment after two or three initial passive interventions. In the last decade, research has shown that Holten’s exercise methodologies have proven their utility as a treatment. Through the years, the concept of MET has enabled physical therapists to transfer scientific knowledge about exercising into their daily practice. MET is a formof exercise therapy in which the patient performs exercises by himself without manual participation by the physiotherapist, however under continuous supervision. MET applies basic principles of physiology and biomechanics. MET is individualized to the patient and is based on the patient’s medical history, needs, expectations, symptoms and diagnosis. This method is applicable in post injury related to work (CSST) or motor vehicle accident (SAAQ). This system is ideal for patients with chronic pain, fibromyalgia, or other conditions where appropriate exercise has been found to be helpful. MET provides guidelines for how to use active exercises as a cognitive behavioral approach to change patients’ pain behavior. Within the geriatric population, MET can be useful in keeping the elderly healthier, functional and self-supporting. Rather, MET provides a concept that help in modifying and dosing any exercise appropriate for the problem at each stage of the recovery process. The McKenzie method, also known as MDT, is a philosophy of active involvement and education, trusted and used by practitioners and patients all over the world. It is the most researched physiotherapy treatment system with a primary focus on empowering patients to treat themselves to relieve their back, neck and extremity problems. Research has shown that when a properly trained physiotherapist utilizes the McKenzie assessment, it can be as reliable as a CT scan or MRI in determining the source of a patient’s pain and their potential for recovery. 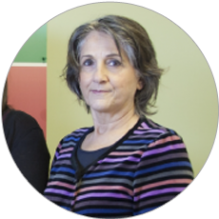 Huguette earned her Physiotherapy degree from Université de Montréal, and founded the Physio Pointe-Claire clinic in 1983, where she works tirelessly to enhance the quality of care received by her patients. Since opening the clinic, Huguette has completed her training in global posture rehabilitation and earned her MBA from Université du Québec à Montréal. Huguette also received training from the McKenzie Institute, and earned her accreditation. She considers this method to be an indispensable tool in terms of assessing, treating and educating her clients who suffer from problems related to the musculo-skeletal system. As a Physiotherapist, she assists the multidisciplinary Physio Extra team, which specializes in the development of functional abilities. Motivated by her commitment to helping, she focuses on the entire range of movements and their effects on the patient’s health. Huguette also practices Tai Chi and the Alexander Technique. Grace Loud began her career as a Physiotherapist at the Royal Victoria Hospital (MUHC) after earning her degree in Physiotherapy from McGill University in 1980. She was involved in quality control of administered physiotherapy treatments, and represented her department throughout the hospital. She took advantage of the environment that was conducive to professional development to acquire expertise in the areas of patient education and the assessment and treatment of musculo-skeletal disorders. 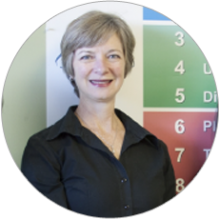 Grace has always kept up to date with respect to her clinical knowledge in manipulative therapy, and received accreditation from the McKenzie Institute of Canada in 1995. She has been using the McKenzie Method with great success ever since, and has developed a great deal of expertise. She is very passionate about her profession as a physiotherapist, and is committed to helping her patients, young and old, to regain maximum functionality. She is just as passionate about her volunteer work in her community. 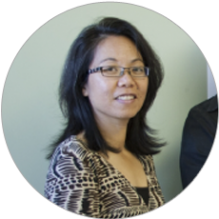 Rita Yee graduated from the McGill University Faculty of Physiotherapy in 1989. She began her career at the Royal Victoria Hospital. She worked at this teaching hospital for seven years, which allowed her to develop her competency in many aspects of physiotherapy, most notably including rehabilitation of the hands. Rita joined the Physio Pointe-Claire team in 1998. Her professional training includes manipulative therapy and the Mulligan Concept, and she has received her accreditation in the McKenzie Method. Her goal is to help her clients to reach their maximum potential. Excellent service, c’est toujours un plaisirs. Service super professionnel, je recommande fortement cette clinique. J’ai reçu un bon service je recommande. If you would like to make an appointment at Physio Pointe-Claire, or if you require more information concerning our services, please fill out the following form. We will be delighted to get back to you as soon as possible.